All Brentwood homes currently listed for sale in Brentwood as of 04/24/2019 are shown below. You can change the search criteria at any time by pressing the 'Change Search' button below. "Almost 18 Acres with amazing views from this hilltop home! 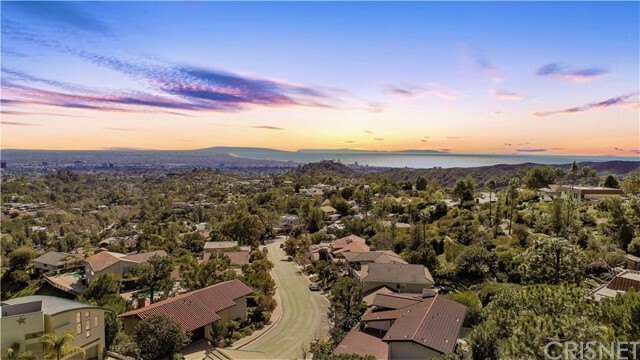 Minutes from Brentwood off John Muir Parkway yet privacy and stunning views. 208X100 Steel covered arena, animals and horses or covered area to store all your toys. Workshop and tack room next to the arena. Owned S13Kv solar. This beautiful ranch home has a private gated entrance and so much to offer. High vaulted ceilings and open floor plan and views from every window. Meticulously maintained with neutral carpets and large tile traffic areas including the family room and kitchen. The kitchen has beautiful granite counters, 5 burner gas cook top and upgraded stainless steel appliances. Master Suite is large with spa like bathroom with beautiful cabinets and garden tub. Perfect for entertaining with the large kitchen overlooking the family room. In ground pool with amazing design, large oak trees are the perfect setting with natural look with it's large boulders and you will feel like you are on vacation everyday!" "Open House: Sunday, April 28th FROM 2-4pm. SUPER SPACIOUS GORGEOUS HOME! Over 4,500 square feet of living space and nearly brand new (2018)! Beautifully appointed with many upgrades throughout. Bedroom with full bath downstairs, formal dining room, bonus room and an over sized family / kitchen combination. Kitchen includes quartz countertops, upgraded cabinetry, farmhouse style sink, stainless professional appliances, butler s pantry and wine refrigerator. Upgraded flooring and staircase banister. Upstairs laundry room with sink. Amazing backyard with pool/hot tub potential! Outdoor California Room with spacious patio areas, oversized side yard; the perfect garden spot. Tons of potential. Fantastic location, close to schools, shopping and dining! Must see!" "Trilogy at the Vineyards-55+ Resort Community-Treamonti Model located in Bordeaux Village. A Carl Lagoni Signature Design with soaring ceilings.Built in 2010.Located on one of the premier vineyard view courts in Trilogy. Two Bedrooms.Two & Half Baths. Morning Room with Fireplace. Formal Dining with Built-in Cabinets. Kitchen features granite counters. Upgraded GE Monogram Appliances with Built-in Refrigerator. Office. Upgraded throughout. See attached upgrade list. Garage with Epoxy Floors & Cabinets. Custom designed rear yard. PRIVATE SPA. Retractable Patio Awning. Trellis/Gazebo. Transferable Solar Power Purchase Agreement. Professional Photos forthcoming. Available for immediate showings. Don't miss this opportunity to live the Trilogy Lifestyle." "Elegant Deer Ridge executive home boasts owner pride throughout! This Entertainers dream estate features 5 large bedrooms, office w/ hardwood floors and exterior door, massive bonus room with natural lighting and panoramic views. Hardwood floors, high ceilings and neutral paint makes this model-like home a must see. Open chef's kitchen features slab granite counters, SS appliances, double oven, large pantry and sweeping views of the Contra Loma hills. The over-sized yard features a quiet patio area, raised garden beds, fruit trees and a large pool-sized lawn area. This well appointed home is nestled on one of Deer Ridge's most desirable and private court locations and features Easterly views of the golf course. Close to award wining schools, parks, shopping and HWY 4. Schedule a private viewing before this one of a kind estate is sold. View the virtual tour for more information." "Trilogy at the Vineyards-55+ Resort Community-Atrani Model located in the Sonoma Village. Heritage Series home. Built 2015. 2,042 sq. ft. Two Bedrooms. Two and a Half Baths. Designer touches are visible throughout the home. Beautiful custom Glass & Iron Entry Door with mesh screen. Wide board wood flooring. Porcelain tile.Chef's Kitchen features granite counters, upgraded cabinets with pull-ou tshelves, appliances & more. Garden room off kitchen opens to Mediterranean inspired rear yard. Mature landscaping with fruit trees, olive tress & array of plants. Raised seating wall with stone front. Alumawood pergola with light & fan. Bar-b-que island with grill & seating for six. Two raised vegetable gardens with tomatoes & herbs. Upgrades galore. Too many to list. See attached list in associated documents for details. PROFESSIONAL PHOTOS FORTHCOMING. Don't let this one get away!! Available for immediate viewing." "Don't miss this beautiful almost brand new modern home available in a great neighborhood walking distance to schools and parks. Built in 2018 this home is very energy efficient with owned solar. Open kitchen with quartz countertops and stainless steel appliances with a big eat in kitchen for those family dinners. including a brand new reverse osmosis water filter. An entertainers backyard with full panel sliding glass doors leading out to your gorgeous covered patio with a cozy fireplace for those cool fall & winter nights. A large side yard plus a rare four car tandem garage sure to excite anyone who wishes to park more than just a car, in here you have plenty of space for a workshop or bike parking no more fighting over garage space. Upstairs you have a big bonus room plus three bedrooms including a jack and jill bathroom. A large master retreat with a dream walk in closet and master bathroom with separated vanities and a sunken tub to relax in."